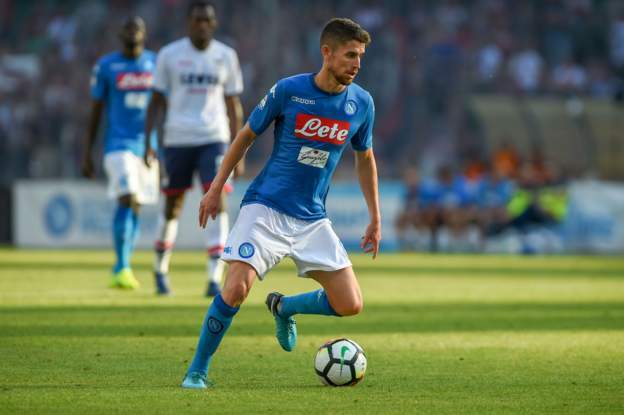 Man City close in on Napoli midfielder Jorginho…. Manchester City are closing in on the signing of Napoli’s Italy midfielder Jorginho. City boss Pep Guardiola made the 26-year-old one of his key summer targets. Although no deal is done yet, the two parties are not far apart in their valuation of the player and it is anticipated the transfer will be completed in time for Jorginho to join the club’s pre-season tour to the United States in the middle of July. The Brazilian-born star, who qualifies for Italy through his grandparents, joined Napoli from Verona in January 2014. ← Fred joins Manchester United….